Ada pertanyaan untuk CrookNeck Retreat? Ideal untuk bersenang-senang dan bersantai, CrookNeck Retreat terletak di area Glass House Mountains, Sunshine Coast. Dari sini, para tamu dapat menikmati akses mudah ke semua hal yang dimiliki oleh kota yang aktif ini. Taman Nasional Glass House Mountain, Glasshouse Mountains Medical Centre, Beerwah Medical Centre dapat dicapai dengan mudah. Fasilitas dan pelayanan yang diberikan oleh CrookNeck Retreat menjamin pengalaman menginap yang menyenangkan bagi para tamu. Ketika menginap di properti yang luar biasa ini, para tamu dapat menikmati fasilitas untuk tamu dengan kebutuhan khusus, check-in/check-out cepat, Wi-fi di tempat umum, tempat parkir mobil, fasilitas BBQ. Akomodasi properti telah dipilih secara cermat demi kenyamanan maksimum dengan adanya televisi layar datar, bak mandi whirlpool, kamar bebas asap rokok, AC, penghangat ruangan di beberapa kamar. Properti ini menawarkan berbagai pengalaman hiburan unik seperti pijat, taman. Dengan lokasi dan fasilitas idealnya, CrookNeck Retreat dapat memenuhi berbagai macam hal. 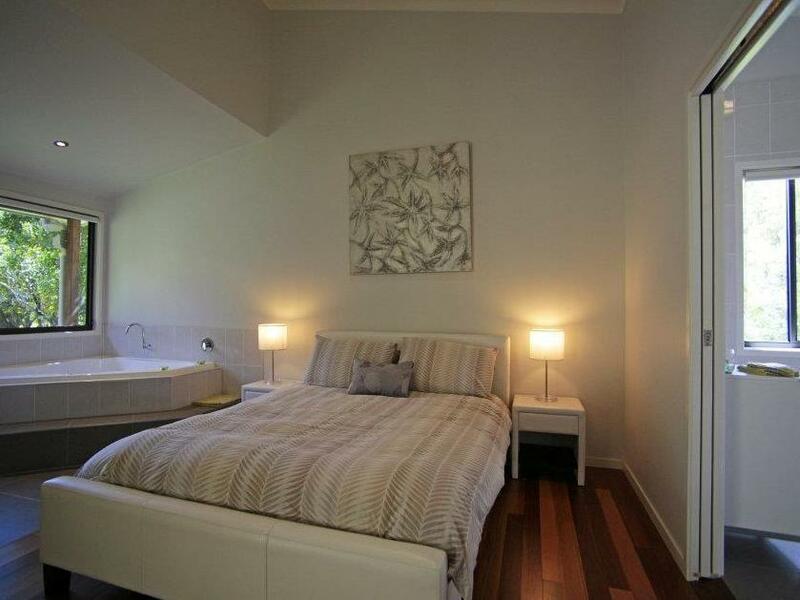 A very low key quiet retreat with very good clean spacious accommodation. Self catering so bring whatever you need for breakfast. A little difficult to find, look for the flag at the entry. 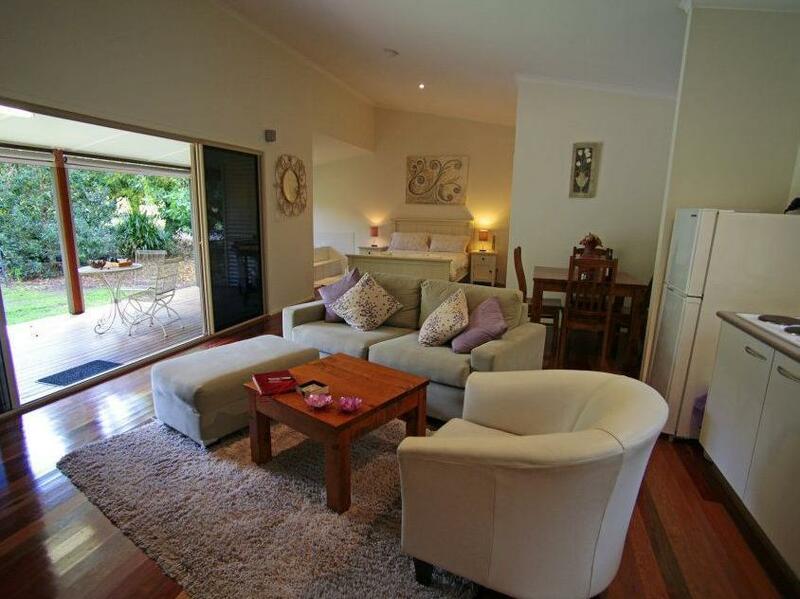 Scenic area and every thing you need in two nearby towns , Glasshouse Mountains and Beerwah. megan was very accommodating and only con is there is no reception if u need it. But we didnt mind as was only for 1 night and was good to not use any devices for a change. Everything u need for a relaxing time with your loved one. Private and peaceful, cabins well spaced. Amazing location and cabin, fire place was set up when we arrived and the cabin has everything you need! Surrounded by gorgeous macadamia trees. Will return! Excellent stay. The sounds of the birds in the morning we're amazing. Loved the whip bird! If you want to get away from it all this is the place for you. Quiet, clean and warm in cold weather. This was one of the greatest finds. A cabin with no interruptions and great food and wine as part of the deal. The wood fire was effective and a real bonus on cold nights. The location meant great scenic drives and little traffic. Weekends the traffic can be bad but avoid them if you want a quiet time on the roads nearby. Definitely a return visit is planned.